Really very extensive slopes and bags of off-piste options - probably stands alongside the Engadin and the 4 Vallées as somewhere you could easily spend a whole season. Davos Dorf has access to the fabulous snow-sure Parsenn it shares with Klosters, but there is also good on and off-piste on other mountains served by the lifts from the town, for example the Jakobshorn from Davos Platz and the Rinerhorn from Glaris. 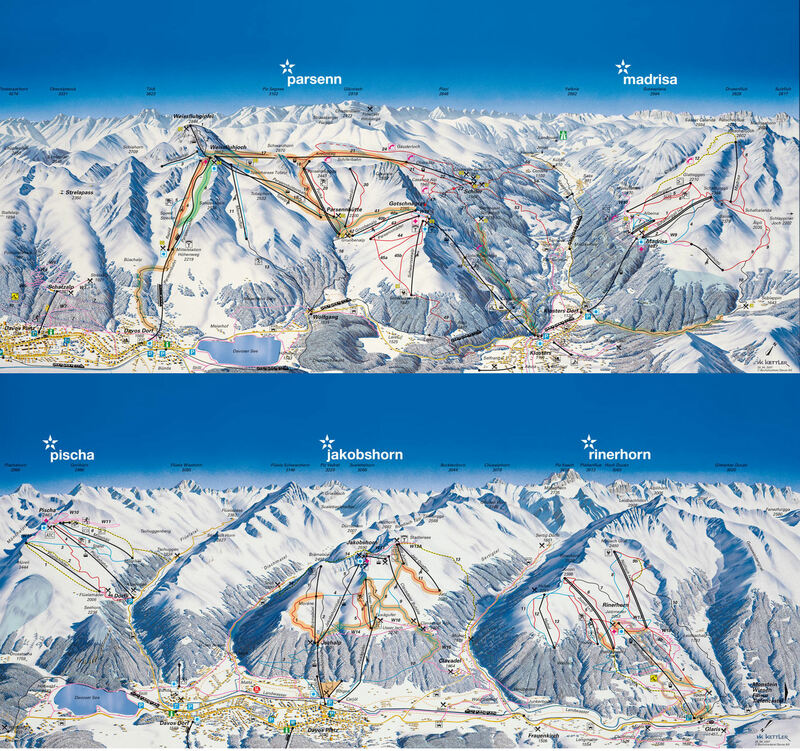 In addition you can access the small areas at Pischa and Schatzalp or, from Klosters, access the Madrisa. The Parsenn can get busy at weekends, so it is worthwhile trying out one of the smaller areas or the generally quieter slopes on Parsenn below Goschnagrat. The slopes at the bottom of the Jakobshorn are best for beginners. The nearest airport to Davos is Zurich. There is a railway station in the airport. 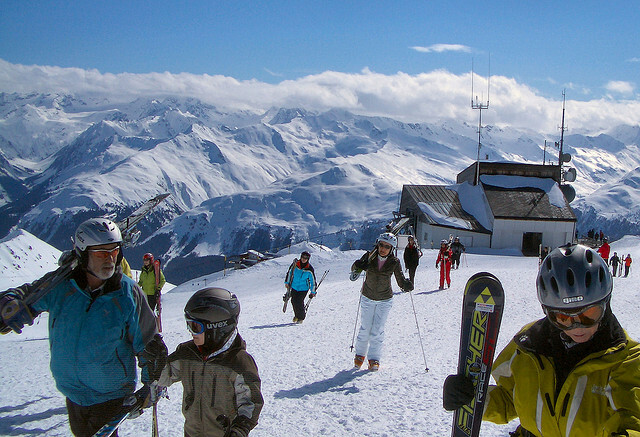 Did you ski Davos or snowboard in Davos? What did you think? Have you taken the train to Davos? 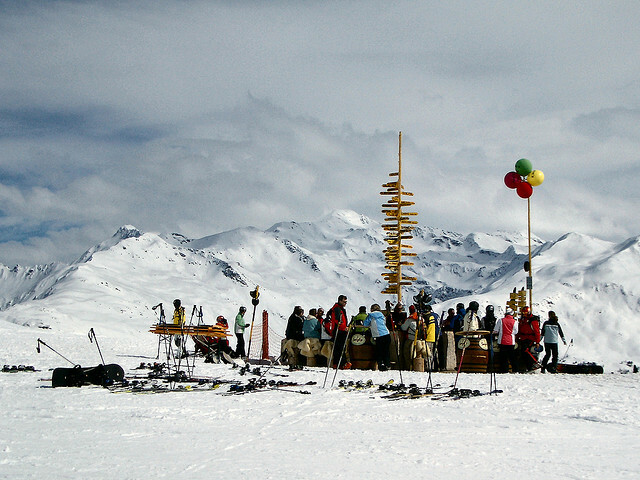 Do you have any tips on accommodation in Davos or the apres ski? Is there anywhere else you have taken the train to ski? if so, please contact us and share you experiences using the contact link at the foot of the page. For more details on Swiss resorts visit our sister site at Swiss Winter Sports.